The Outer Hebrides, as these islands are collectively known, is a particular sort of place, and its tweed, which is woven on hand looms in sheds attached to the islanders’ crofts, is correspondingly particular. The cloth looks and feels rustic and artisanal, and its hand-made provenance is evident. Harris Tweed’s origins might be humble, but in a world of cheap, uniform, industrially-produced fabric it’s now a seriously sophisticated proposition. The question is, how best to deploy such a sophisticated proposition? In the hours of daylight preferably, because of the rustic nature of the cloth and the fact that the subtle colours are best viewed in natural light. Wearing a Harris Tweed jacket with cotton trousers, brown shoes and, if you’re a more relaxed person than I, an open neck shirt works well as a business-casual outfit or for lunch with friends. 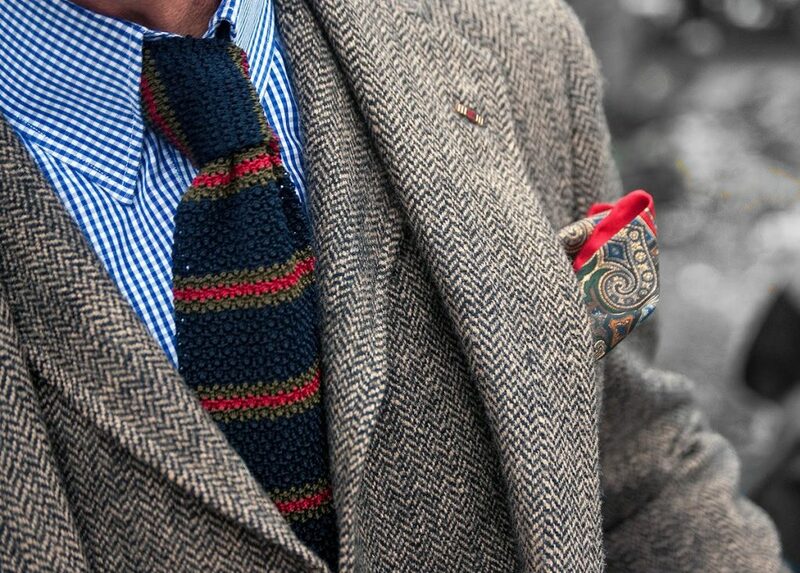 For most of the year a Harris Tweed jacket will be warm enough to work as outerwear, although it should be kept largely dry. If the temperature does dip try adding a gilet over the top for a hint of Italian elan. 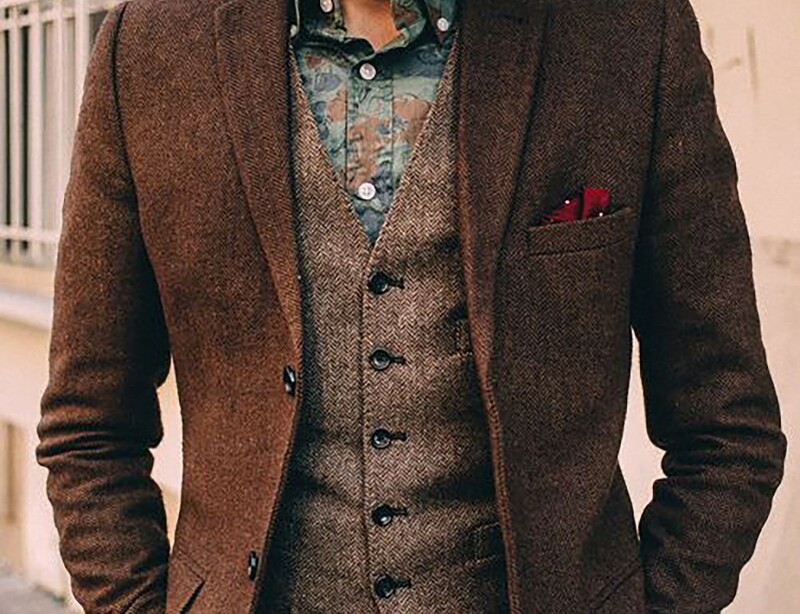 Creative types, who are likely to be drawn to Harris Tweed’s unique mix of hand-production, inherent casualness and fuzzy, complex colours might like to mix a jacket with a pair of World War II style chinos, a soft shirt, a grey sweatshirt and a pair of sneakers. Think Jackson Pollock hurriedly dressing for lunch with his art dealer. 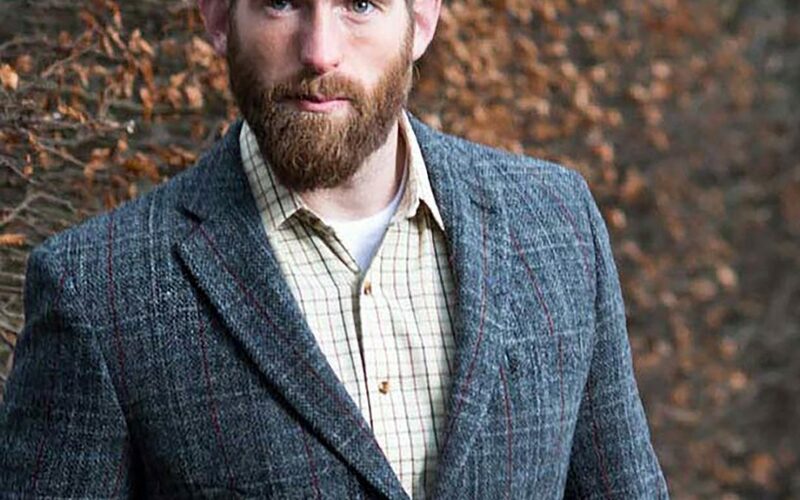 Dressing, and much else, is different in the countryside, where a Harris Tweed jacket can be worn on almost all occasions, from drinks parties to barbecues. Traditionalists will want to pair the jacket with thick cords and a flannel shirt, but a modern ensemble might include some selvedge denim jeans and chunky Northampton-made brogues.